This work boot was made for those wanting superior comfort and padding when working outdoors. 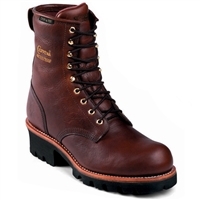 Men's Chippewa 8" Waterproof Insulated Steel Toe Logger. 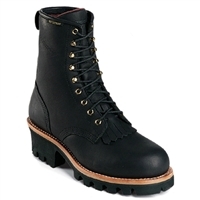 The Chippewa 8" Lace to Toe Bay Apache Logger Boot is a classic logger work boot. 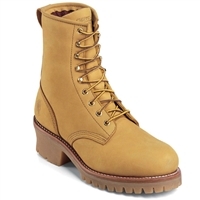 This boot is sturdy and durable, and will keep you safe while you are on the jobsite.